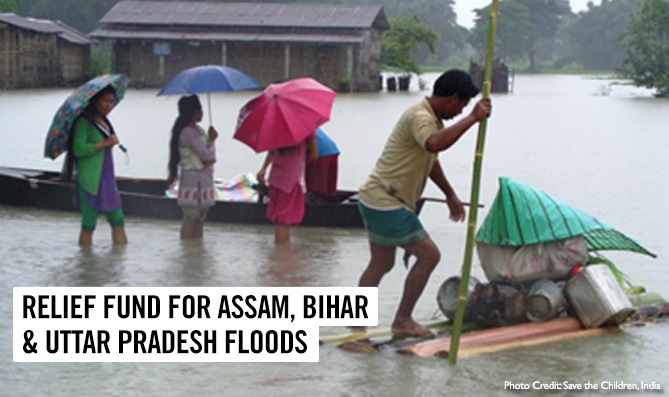 Large-scale flooding in the last week of July has brought about tremendous devastation in numerous parts of Assam, Bihar and Uttar Pradesh. 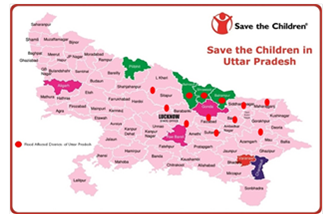 18 districts are impacted in Assam, 24 districts in Bihar and 28 districts in Uttar Pradesh. There has been MASSIVE damage and loss of life and property. Repeated flooding in the recent weeks has only added to the woes of the people. 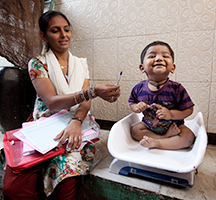 It has increased the impacted numbers (480 deaths reported so far) and also the critical needs for children and communities. 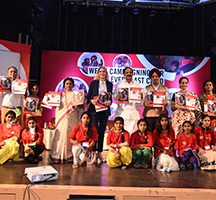 It’s going to be mammoth task for lakhs of children and their families to bring back normalcy to their lives and you can lend your helping hand in that process. 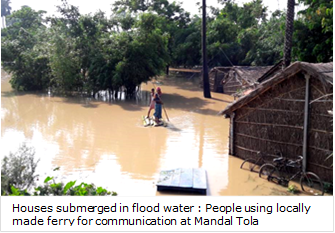 Many Families lost their sources of livelihood since all agriculture lands are under water. Very few families have livestock; hence, livelihood for food security aspects needs to be prioritized as part of the recovery strategy. Majority of families, working as landless labourer/ daily wage earner are severely affected due to non- availability of employment. Impact on Children - Massive internal displacement caused by floods and ethnic violence has taken a toll on the children in the State. 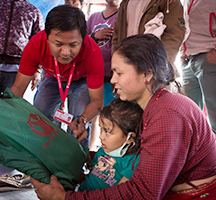 In many cases, children were trafficked from the relief camps for flood and violence victims. According to a UNICEF study, six districts of Sonitpur, Dhemaji, Lakhimpur, Baksa, Kokrajhar, Udalguri and Kamrup are most vulnerable for trafficking. Geographical extent and water levels - Bihar is one of the worst flood-hit states in India with 175 deaths and nearly half a million people evacuated. 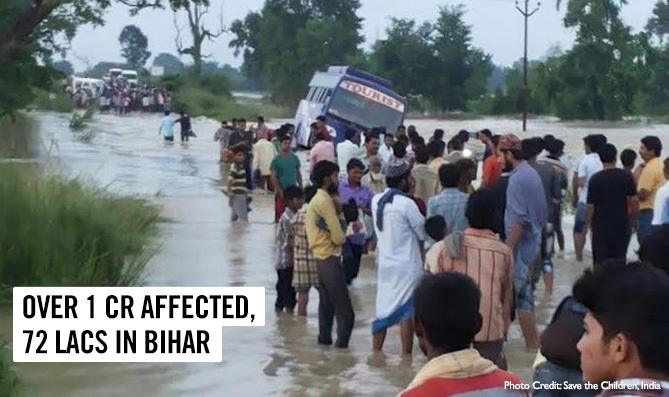 Out of the 24 impacted, the worst affected districts are Patna, Bhagalpur, Vaishali, Buxar, Bhojpur, Sonepur, Saran, Begusarai, Samastipur, Lakhisarai, Khagaria, Munger, Nalanda and Katihar. The Ganges at Bhagalpur is at record levels of 34.67 metres, beating the previous high of 34.5 metres set in September 2013. The Sone, Punpun, Burhi Gandak, Ghaghra and Kosi are also flowing above danger levels in several areas. Bihar Department of Disaster Management say that 1,15,000 people are staying in 262 relief camps. Water Levels - The recent floods in Uttar Pradesh have now affected 8,70,000 people in 987 villages of 28 districts. Over 60,000 people have been evacuated, mostly from the districts of Varanasi, Allahabad, Ghazipur and Ballia and 30,247 are currently staying in relief camps. Banda, Jalaun, and Ghaziabad districts have also been badly affected. India’s Central Water Commission say that rivers, including the Ganges, are above warning levels in 14 different locations. Ballia of Uttar Pradesh has recorded unprecedented flood levels. The Ganges at Ballia is at a record high of 60.39 metres, beating the previous high of 60.25 from September 2003. According to CWC, continuous rains from 7th July have caused the water levels of Narmada River to rise to 292.5 meters resulting in floods in various districts of Madhya Pradesh. Some of the worst hit areas are the districts of Bhopal, Shajapur, Jabalpur, Satna, Harda and Panna. More than 3,00,000 people have been affected by the flooding and at least 22 people have died.